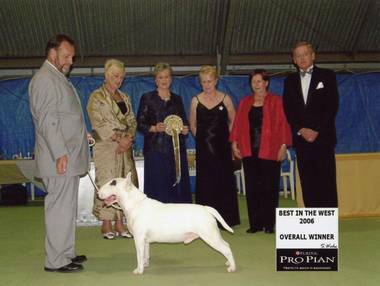 Frodo has had an unprecedented run of wins at major events & shows in 2007, not discounting his many Best in shows previously. 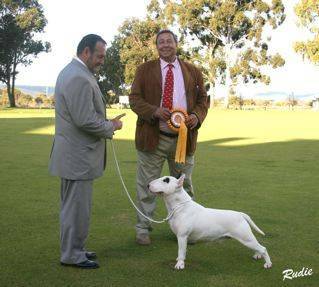 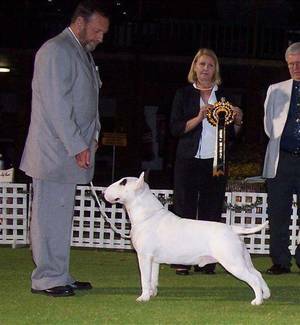 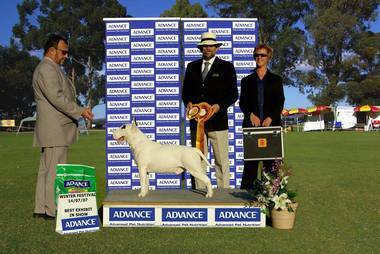 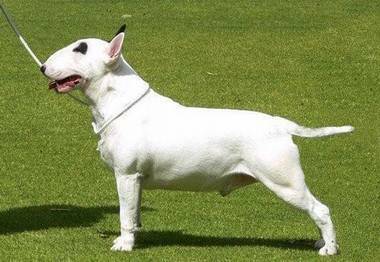 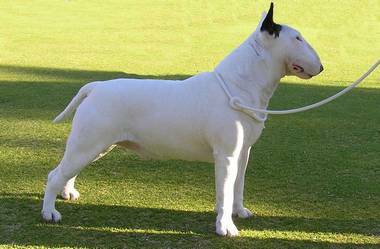 But of late he has surpassed nearly all our dreams at Honhazsta, being the first Terrier let alone a Bull Terrier to win the CONTEST OF WINNERS which has been running for the past 27 years, The inuguaral winner of the BEST IN THE WEST as well as BEST EXHIBIT IN SHOW at Canine assoc of W.A. 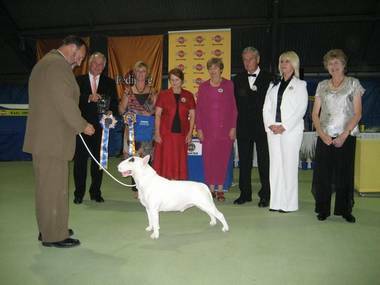 major event the OPTIMUM WESTERN CLASSIC, Runner up BEST IN SHOW at W.A's biggest show of the year the PERTH ROYAL SHOW as well as being the PEDIGREE TOP DOG ALLBREEDS in Western Australia these are just some of his wins this year, who knows how long this winning streak can last, but he has had some very good wins since these milestone for the breed, These wins have made the dog world sit up & notice Bull Terriers. 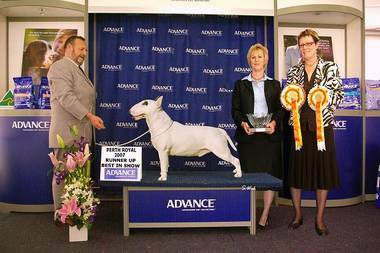 Since the above was written Frodo has gone from strength to strength with many more milestone wins as of 1/1/2010 can't keep up the winning of the past as he is in semi-retirement at the age of 7 years, It has been one wild ride & one that Hazel was proud of.